Wowie! With exams rollin’ in this month. That means will I have less time to dedicate towards my blog (As I want to be a good student and study for them) but it’ll also mean, I will soon be free from the shackles of post-secondary education — until I got back to school in September of course. So while April is the month for exams, it is also the month where I try out something new. For example blog banners, like the one you see above. Today’s list is a collection of Anime that I thought were the best relating to the Spring 2012 season. Cool thing is, in regards to my list, is that this list today is diverse; with each Anime relating to a different genre. You get a little bit of everything! 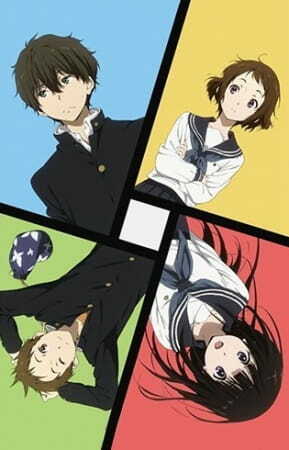 Hyouka is one of my favourite Anime, without a doubt. One of the many reasons as to why Hyouka is my favourite is because I love the art style that goes with this Anime, I also love the characters, in particular Eru, who is one of the female main characters. Her drive to solve mysteries as it relates to their own club room and the past behind it really makes the story itself extremely interesting. Eru is the spark plug of the Anime and her character alone, in my opinion, is enough to keep you drawn towards this Anime. This is a no-brainer by anyone’s standards. 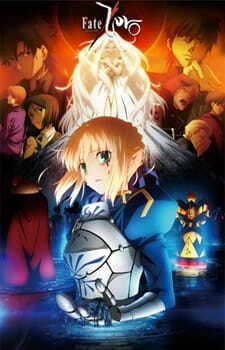 Fate/Zero 2nd Season, is arguably the best, if not one of the best seasons in the Fate/Zero series. With a combination of beautiful art and animation by the legendary studio Ufotable. As well as a story that will forever pull in someone who watches this Anime. This without a doubt is one of the best Anime to air during 2012. What I enjoyed most about Sakamichi no Apollon, was that it was an Anime about breaking out of your own shell and fully immersing yourself in something you love. This was the case with Kaoru Nishimi. Despite being a 12 episode series, the story was extremely well done and well thought out. It was above all else, it was extremely entertaining, especially from a character development standpoint; and I LOVE good character development. Sentarou’s immeasurable love for jazz music inspires Kaoru to learn more about the genre, and as a result, he slowly starts to break out of his shell, making his very first friend. Kaoru begins playing the piano at after-school jazz sessions, located in the basement of fellow student Ritsuko Mukae’s family-owned record shop. As he discovers the immense joy of using his musical talents to bring enjoyment to himself and others, Kaoru’s summer might just crescendo into one that he will remember forever. 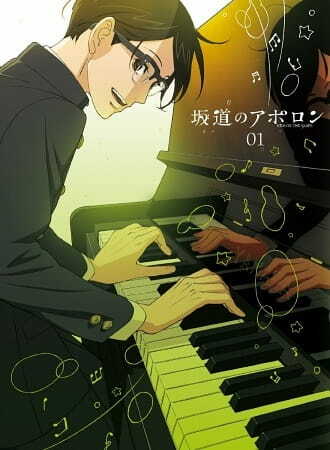 Sakamichi no Apollon is a heartwarming story of friendship, music, and love that follows three unique individuals brought together by their mutual appreciation for jazz. 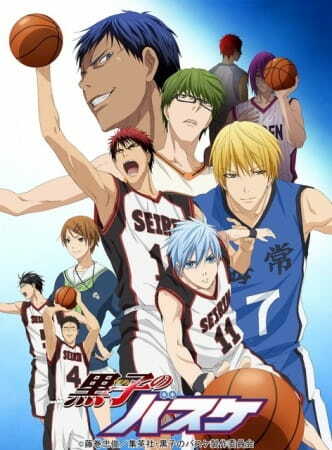 Last but not least, we have Kuroko no Basket. The Anime that turns a relatively boring sport (for me), and turns it into something extremely interesting and exciting. Nothing like playing basketball, but also making it feel like each player on the court has their own superpower whenever it’s their ‘time to shine’ so to speak. That was why I enjoyed the Anime, because it felt like I was watching superheros play basketball. Teikou Junior High School’s basketball team is crowned champion three years in a row thanks to five outstanding players who, with their breathtaking and unique skills, leave opponents in despair and fans in admiration. However, after graduating, these teammates, known as “The Generation of Miracles,” go their separate ways and now consider each other as rivals. At Seirin High School, two newly recruited freshmen prove that they are not ordinary basketball players: Taiga Kagami, a promising player returning from the US, and Tetsuya Kuroko, a seemingly ordinary student whose lack of presence allows him to move around unnoticed. Although Kuroko is neither athletic nor able to score any points, he was a member of Teikou’s basketball team, where he played as the “Phantom Sixth Man,” who easily passed the ball and assisted his teammates. Kuroko no Basket follows the journey of Seirin’s players as they attempt to become the best Japanese high school team by winning the Interhigh Championship. To reach their goal, they have to cross pathways with several powerful teams, some of which have one of the five players with godlike abilities, whom Kuroko and Taiga make a pact to defeat.